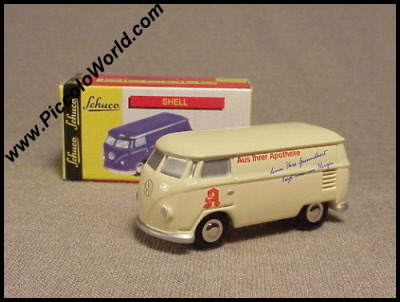 Schuco Piccolo Volkswagen Bus Apotheke Scale Model. 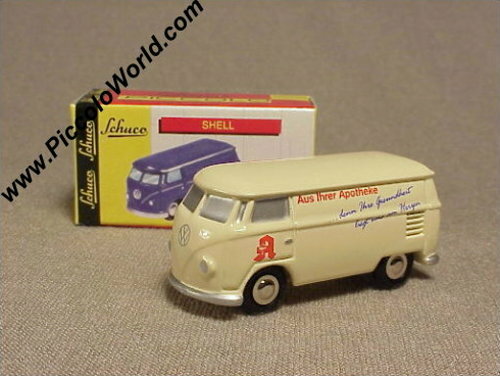 Issued in September 2000, this model was made as a promo for the German Pharmacist Lauer in Fürth. It is beige with elaborate pharmacist's print.